First of all, I would like to thank our each and every reader who have read and appreciated our articles. It was really a Dream Come True for us to start this amazing initiative to discuss about dreams and through this inspire others. I hope we are one right track for our goal “One Life Million Dreams” and we will be able to achieve this with your love and support. As mentioned in the title “One Dream Leads to Another Dream” you must have guessed it right. 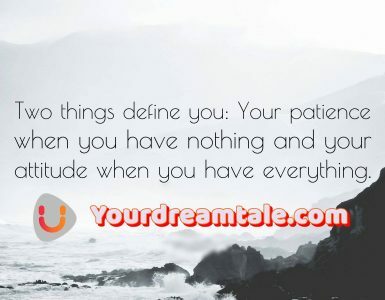 Most of the times we get random dreams which are not interconnected in any way, but if you are getting very similar dreams related to same situations, topics then there is some link. People fear to follow their dreams for various reasons like fear of failure, what other will think about it, will do it later, etc. But believe me go for your dreams without expecting failure, quick results, go with all your heart and give it your all. Every hour of your time spent working or learning dedicatedly for achieving your goal never goes in vain, you’ll get its reward in near future and in very unexpected way when you need it the most. In today’s modern digital world, connecting with people from all around the world is easy with the help of Facebook. Most of people may not agree with me and they may have some valid points because as Facebook evolved over the years, its usage also evolved and if you don’t use Facebook to its full potential, then you can say its only for remain connected with friends. In this digital world everything can be used for constructive, productive work as well as for wrong deeds. I have connected with people from all around the world through various FB groups who love to write. It was amazing experience as I had no expectation at all and it was just like following my heart and just like that my dream was fulfilled. There are lots of communities related to sports, movies, music, politics, social cause and for various topics, but it was really difficult to find community which discuss about dreams and related topics around dreams. Then I have started posting in FB groups, Like minded people joined me over emails and I have discussed with them about my whole concept, idea. It was jubilant for me to receive so much appreciation and support from everyone. From the moment I started learning about WordPress and Blogging(Will Post in Another Article), It was my dream to create one dedicated blog which can be the platform for others to share and read different life experiences(Back then not thought about Dream Niche). But once I started my journey for YourDreamTale, all pieces come together perfectly. Every dream was connected to another dream. Most of the quotes, motivation apps which I have used, mostly contain images for some popular and limited categories which are not updated time to time. So recently we have launched our very own Android App which is updated daily with very new and unique HD quotes, motivation images related to Dreams. Best feature of app is that you can directly share that image from our app to your friends and family via WhatsApp, FB, etc. You can also set that image as your mobile wallpaper. Eventually all pieces falls into place. Until then, laugh at the confusion, live for the moment and know that everything happens for a reason. My point here is that only the first step towards your goal or dream is difficult one and after that it all becomes so easy as everything falls into place. Every dream is a single dot/point and it is upto you if you want to join the dots and make it a interconnected line or circle. Well, once you can dream it, it is possible to realise it. All the best with building what I think is such a unique community. And keep on dreaming. Thanks a lot Joleisa. 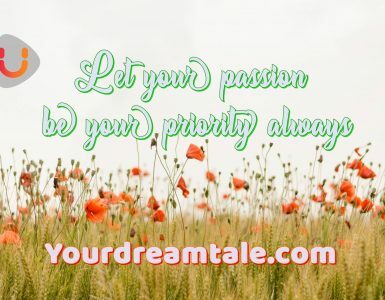 Yes, we are building our #Dream Team Community who love to live and fulfill their dreams and as well as like to inspire, motivate, guide others to believe in their own dreams and achieve it.